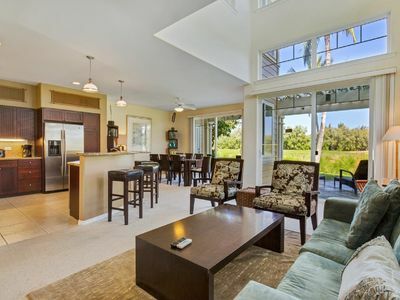 P1 is a beautifully designed 2,704 sq. 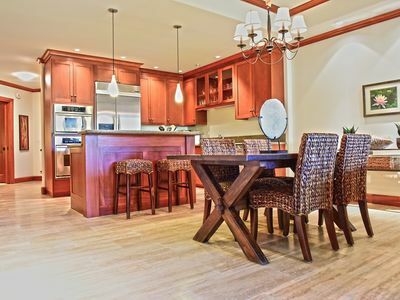 ft. luxury condo rental with 3 master suites, 3.5 baths, a loft with a single bed, a full living room, dining room & a gourmet kitchen. 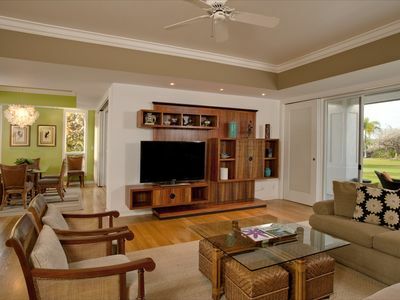 Plus 3 large private lanais with relaxing views of tropical gardens and expansive rolling lawns. 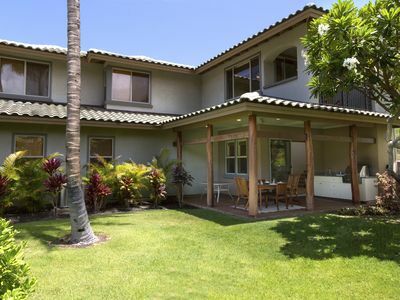 The kitchen opens onto a beautiful lanai with a built-in gas barbecue & outdoor seating. 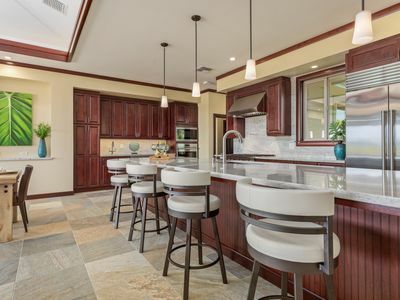 Designer details throughout this distinctive vacation home include elegant Island-style furnishings, perimeter soffit lighting, oak floors, 10’ ceilings, 4 large flat-screen TVs and more. 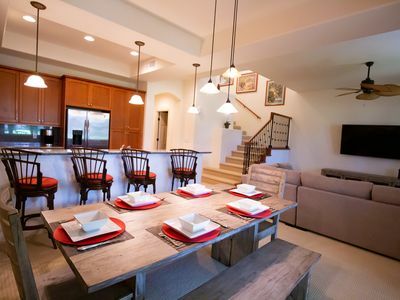 Perfect For: Up to 8 guests can settle into the lavish space of P1 with a popular 2-story configuration and a 2-car garage. 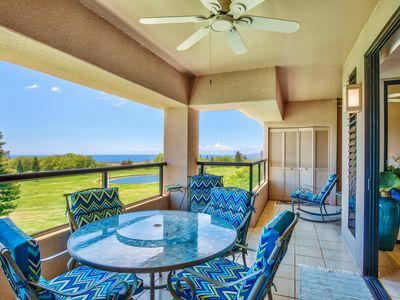 Golfers, couples, friends and extended families appreciate that there’s plenty of space to get together and also room for privacy. 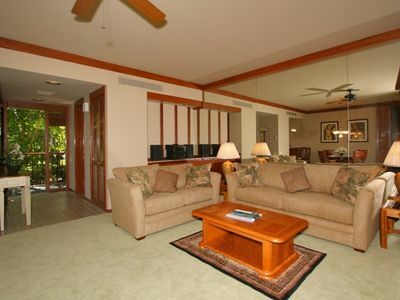 Two master suites feature king size beds and the third bedroom offers 2 double beds. 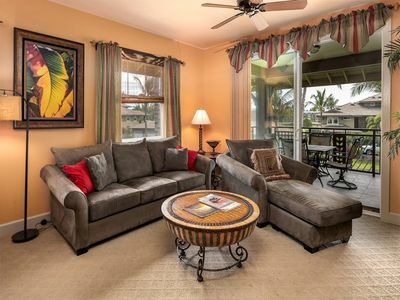 The upstairs landing has a twin-size day bed. 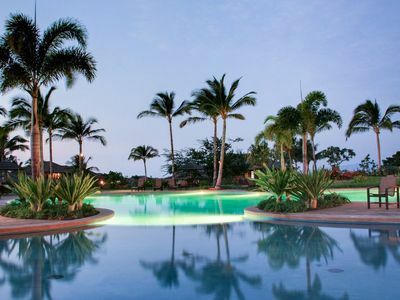 Advantages: P1 offers a privileged location directly across from the rock grotto waterfall swimming pool, whirlpool spa & entertainment pavilion with gas barbecues reserved for guests of The Islands. 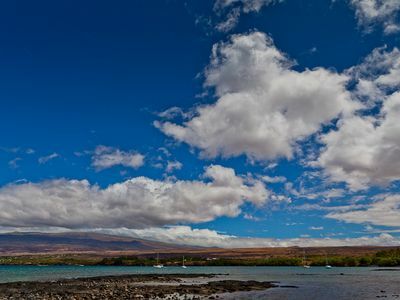 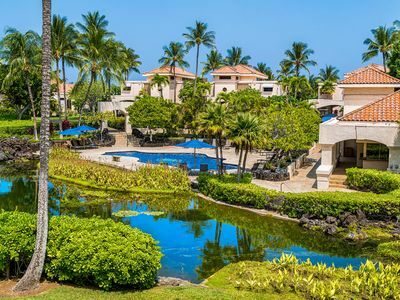 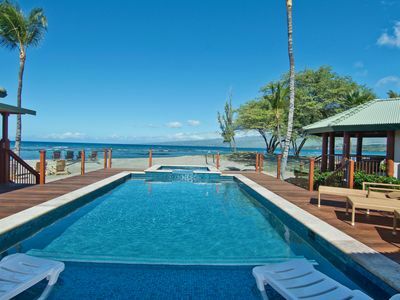 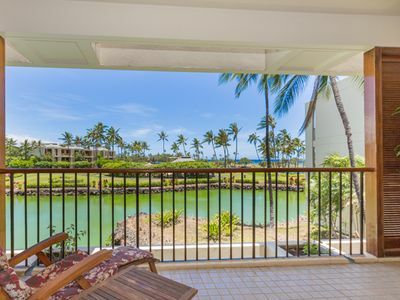 The gated privacy of The Islands at Mauna Lani is a key advantage for many return guests. 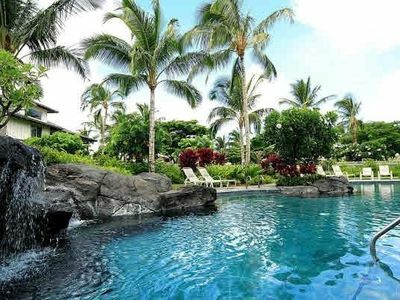 Guests also have access to the exclusive Mauna Lani Beach Club on a secluded white sand beach cove perfect for swimming and snorkeling. 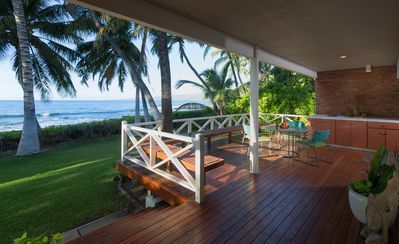 An exciting new beachside restaurant serves lunch, dinner, and cocktails. 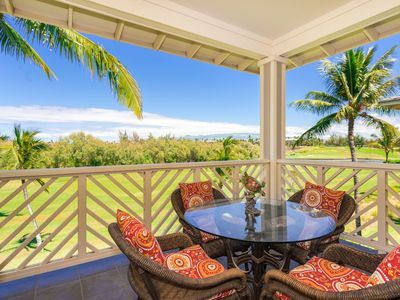 Guests also enjoy reduced fee golf privileges at the two Francis H. I’i Brown golf courses adjacent to The Islands. 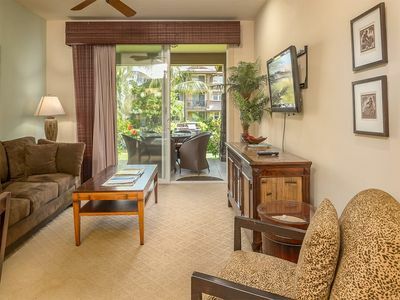 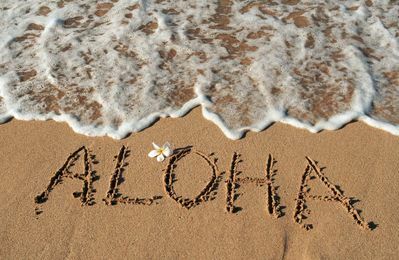 Also immediately outside the gated entrance is the world-class Mauna Lani Spa and the Mauna Lani Sports & Fitness Club. 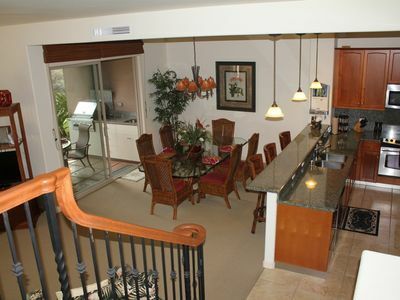 New Listing, Beautiful Peaceful 2 Bedroom, 2.5 Bath, 1631 sq ft. Book it!